Paint protection that is unlike wax or sealants that can easily be washed away or broken down over time. 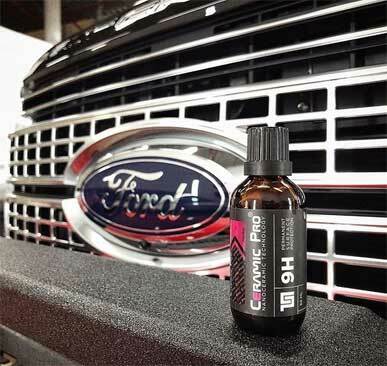 Ceramic Pro brings high gloss and long lasting protection! 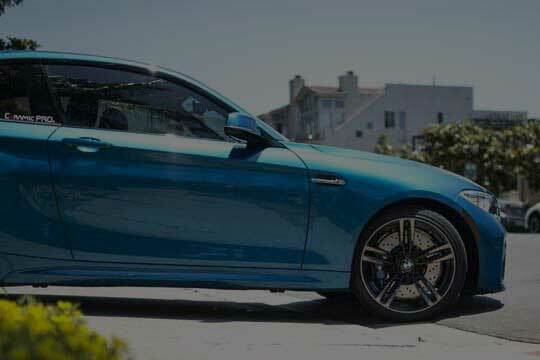 Advanced, extremely durable and virtually invisible 3M & XPEL Paint Protection Film. It protects your vehicle from rock chips, stains, scratches, sand and salt. Get 99% UV protection and excellent sun rejection. Keep your upholstery, dash, and other interior finishes from cracking, fading or looking anything less than factory-fresh. Protects vehicle’s windshield from standard road hazards by significantly reducing the occurrence of rock chips, stars, pitting, and bull’s-eyes—leaving the glass in pristine condition. Also known as machine polishing, a systematic application of different compounds, polishes and pads to remove swirls and scratches. We use only top premium products for exterior and interior cleaning of your vehicle. We guarantee a lasting protection and a fresh clean finish. New Shop Location has Opened! First Detailing Studio is excited to announce that it has moved to a brand new shop! This new shop offers not only high quality services but also has the most advanced features in the entire Edmonton, Alberta. The larger shop has more capabilities to enhance performance. 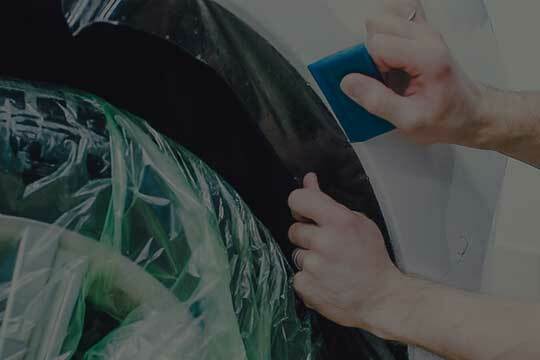 The new shop offers Edmonton residents a remarkable opportunity to get the most comprehensive list of the premium auto detailing services in one place without the need to travel to multiple places. You will definitely love the unmatched efficiency and reliability of our new shop. Outstanding customer service from first contact through to completion of the work. We are very impressed with the end result, the warranty and the follow up! Thank you! Alex and his team are extremely professional. It was my pleasure to work with them and I would recommend their services to all of my friends and family who are looking for a protective solution for their vehicle. My BMW F32 430i looks even better than when I picked it up at the dealership! Epic job on the 3M and detailing on our ‘19 Jetta!Quick, professional and reasonably priced. Guys are using top-not materials, and putting the passion into the labor. Highly recommend, and will definitely be back with other cars. Great job on our work vehicles! You have earned a repeated customer! These guys are good! They provide professional service, got me in on short notice and the finish on my 2018 VW Atlas after they applied the Xpel Ultimate and Ceramic Pro was perfect. These guys go the extra mile. So glad I choose First Detailing Studio from all the other choices in Edmonton. Amazing service, great prices and fantastic results! Highly recommended! Had Xpel and Ceramic Pro installed on my Tesla. They were willing to work around my schedule. The Ceramic Pro looks great! Thank you, First Detailing Studio, for a great looking Window Tinting that you did for my vehicle here in Edmonton! It looks a lot better now! Overall had a very good experience with First Detailing Studio. I'll be back and recommend you to all my friends! Thanks! Good service. They did perfect job with my truck. Good price for service. I really recommend this guys. Dealt with Tommy over the phone. I live out of town so they were gracious enough to pick up the vehicle at the dealership. They had it all coated and back to the dealer so I could drive it off the lot protected. Great customer service and great product! Great experience! Tommy and the crew delivered what they promised and for the price quoted. Picked up and dropped off my car at the time said. Would highly recommend them and the Ceramic Pro service the provide. I contacted First Detailing to get a quote on film bra and ceramic coating on a 2018 Honda Odyssey and was truly surprised at the level of communication and accommodation, as well as honesty. The results were amazing! I will be a loyal customer of First Detailing Studio for many years. Thanks guys! I cannot speak highly enough about the outstanding professional work Tommy and his crew do here. They went above and beyond to make sure that our vehicle was absolutely pristine. The whole experience from start to finish was a breeze and the level of customer service they give is unmatched. They managed to fit me in short notice not once but twice, stayed late to make sure my vehicle arrived and was locked indoors, fixed all of the imperfections and damage caused by the dealership, they did it all. Above and beyond all our expectations. The quality of work performed on our vehicle made it better than new, there is no need to look anywhere else for getting work done. This is the place, you wont be disappointed. Brought a new ‘19 Jetta for some detailing and protective film love. Those guys are definitely the BEST place to go for PPF and Ceramic coating/detailing. Reasonably priced for top-notch services. Highly recommend, and will definitely go back with other cars. i got PPF and Clearplex for my mercedes c300 @first detailing studio, the staff was enthusiastic about cars and their work. always go 110% to satisfy the customer needs and provide the best service/$$$. if you love your car, this is the place to go!! Amazing work. Amazing people. Lol not much more to say then that. Recommend it to anyone! 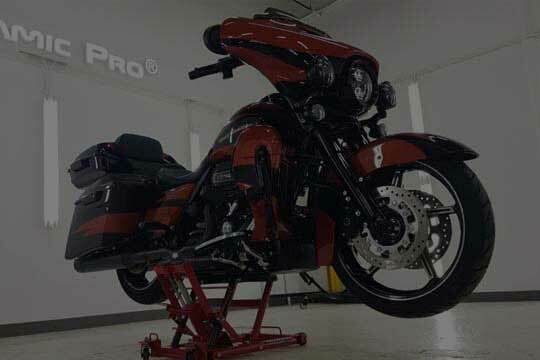 I called ceramic pro to get a quote to put 3m on my Harley trike and they told me about this product. They were able to fit me in on my schedule and the price was very reasonable. The people there were very friendly and professional. I went there to pick up my bike and was so impressed that I brought my Shelby there to. I would differently recommend this shop to have your work done. They do awesome work. Thanks to all of the crew there it was a pleasure to deal with you. Great team with professional attitude to their clients and best work skills to your toys and with the best coating in the world ... so if you got a car,boat ,bike or whatever ,that's the place where you wanna treat your beast ! These guys are fantastic, and did an amazing job on my truck. Had the PPF put on over all the more common areas for chips and scratches, then had the Ceramic Gold package added as well. Had everything done in a very timely manor with outstanding customer service. Even came out to Nisku to pick up the truck for me. Thanks again everyone. Will definitely recommend to others, and be back myself! It’s easy to become confused or unsure about a product or service to use when choosing how to refinish or protect your vehicle. Honestly just do yourself a favour and pick these guys. Absolutely amazing work. I am extremely pleased with the results and would recommend them to anyone, friends or family. I had my Tacoma done here and I absolutely love the finished product! The crew here made sure to cover every inch of my truck with fine detail, not missing a single spot. They went above and beyond and gave me an interior detail on top of my gold package!!! My truck was ready exactly when promised. Great service, great product, and these guys definitely know how to make your vehicle like new!!! First Detailing Studio is a full service car & auto detailing shop serving Edmonton and the surrounding area. We are professional installers of premium surface protection and we know exactly what needs to be done to protect a vehicle’s paint from everyday road damage. 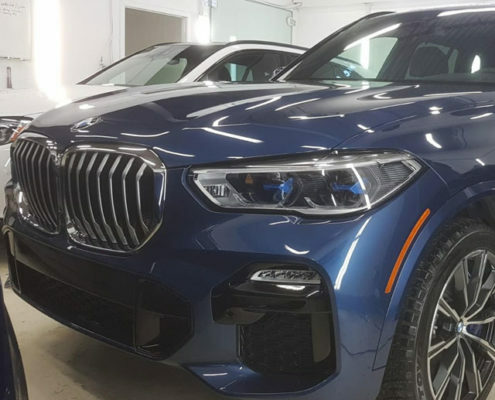 We continuously invest in professional tools, products and staff training to provide the best auto detailing and paint protection services in Edmonton! Our primary business goal is 100% customer satisfaction by providing the best services using only premium products. Our professional services in and around Edmonton include installation of Ceramic Pro permanent paint protection nano coating, 3M & XPEL paint protection film, ClearPlex windshield protection film, paint correction and machine polishing, window tinting, interior & exterior detailing for any type of vehicle including motorcycles. Wax is dead! Ceramic Pro is the future of permanent paint protection technology. Start today & get protected! Professional installers of high quality, durable and virtually invisible 3M & XPEL paint protection film in Edmonton. Hit the road with confidence! 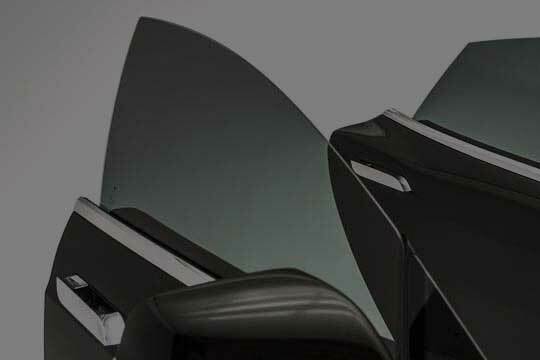 We offer installation of XPEL Prime window tinting film as well as ClearPlex windshield protection film. 99% UV Protection. Professional paint correction, machine polishing and scratch removal in Edmonton. We can make your car look new again. Premium Interior & Exterior detailing for any type of vehicle in Edmonton. Car interior cleaning using only the best car care products. Moto Detailing Edmonton services as well as Ceramic Pro, paint correction, machine polishing and scratch removal. We are a full service car & auto detailing Edmonton shop that offers a wide range of professional detailing services. Exterior & interior hand wash, paint correction & paint protection, installation of XPEL paint protection film, window tinting, windshield protection film and Ceramic Pro nano coating. You can get it all done in one place! No matter how big or small the task we face we try to make it our highest priority and get it done as well as possible. We believe that being professional in all aspects of the business really makes a difference for our customers. First Detailing Studio is a premium detailing shop. We use only professional tools and car care products. We guarantee that your vehicle or motorcycle will be treated in the best possible way. Our personnel is certified, experienced and knowledgeable. We continuously invest in professional staff training. 100% customer satisfaction is our primary business goal. We put all our efforts into ensuring we provide the best possible services. High standards, professional training, tools and only the best car care products allow us to give this service guarantee to our customers. If for any reason we fail, we take full responsibility and, if possible, any issue will be fixed until we have complete customer satisfaction. We do our best to fit appointments within a customer’s busy schedule. We are open Monday – Friday, but if there is a need we are open at the weekends as well. Give us a call and we’ll find a spot for an appointment that fits your schedule. 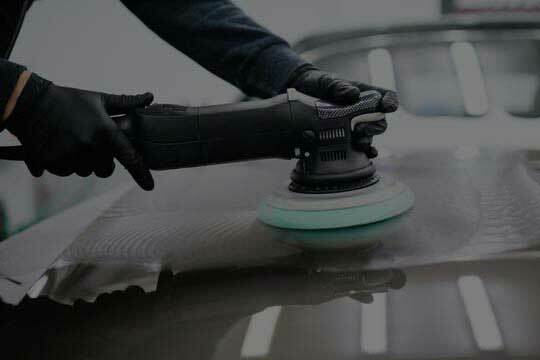 Every vehicle is different and very often it’s hard to give an exact quote over the phone especially for paint correction or machine polishing jobs. Feel free to contact us and setup an appointment for a free vehicle inspection. We’ll check your vehicle, explain the work process, find you the service that fits your needs and budget and give you an exact quote. Ceramic Pro is a liquid nano-ceramic coating that provides permanent surface protection. 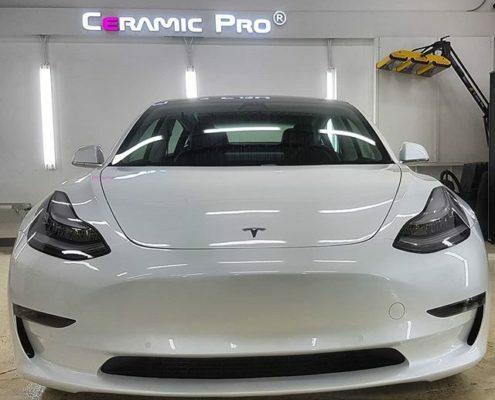 Ceramic Pro is an additional clear coat that when applied transforms itself on the surface to a permanent, durable, hydrophobic and flexible glass shield. Ceramic Pro hardness is 3 times more than factory provided clear coat. It can be applied in multiple layers to provide an even better surface protection. Ceramic Pro products are good on surfaces like: paint, glass, alloy, fabric, leather, plastic and rubber. 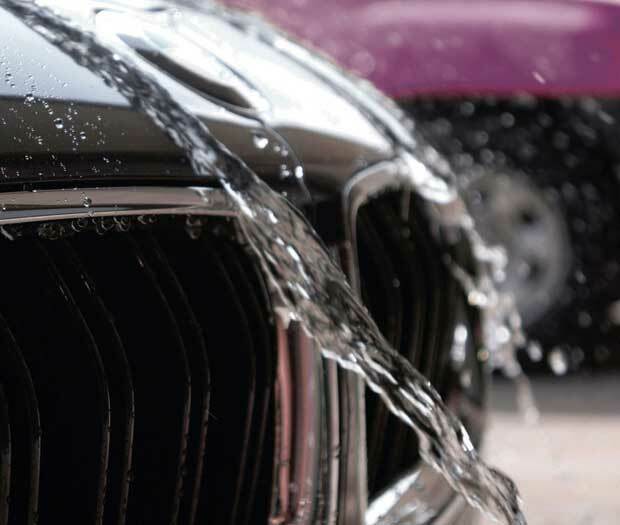 They have been recommended by the best detailing shops all around the globe. Ceramic Pro is the World’s leader in ceramic nano coating technology. Ceramic Pro Edmonton installers offer a Lifetime warranty on our multi-layerable Gold package. Not sold on Ceramic Pro yet? Check what you get with 9H nano coating! 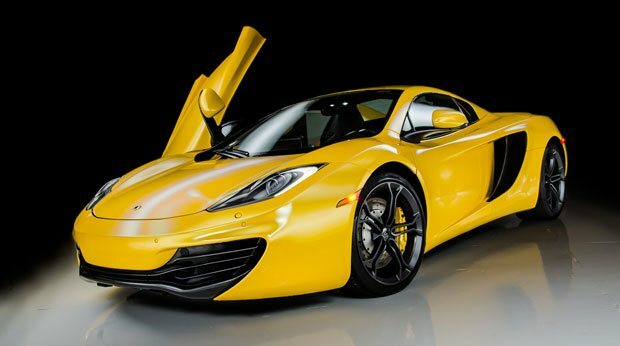 Got a new car and looking for paint protection options? 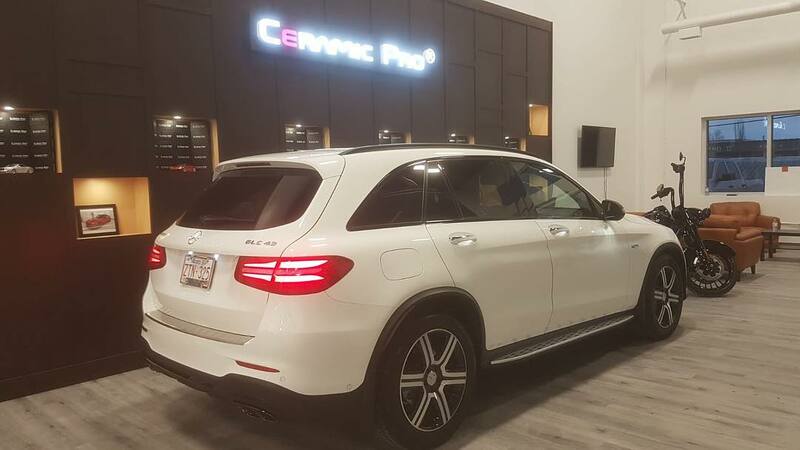 Protect your vehicle from the very beginning using proven technology and products such as 3M & XPEL paint protection film and Ceramic Pro nano coating. 3M & XPEL paint protection film protects your vehicle against rock chips, scratches, sand, solt and every day road damages. We have several packages to choose from or you can build your own! Learn more about our Edmonton PPF packages and pricing. 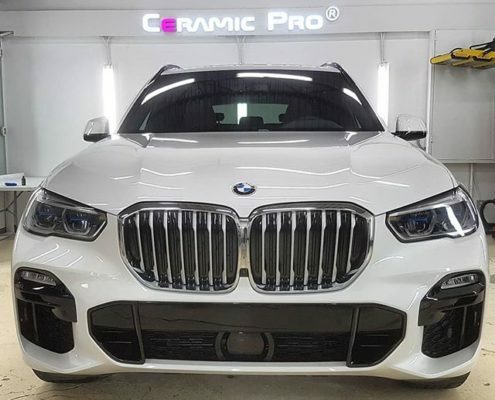 Add Ceramic Pro & Get Full Protection! Combination of paint protection film and Ceramic Pro 9h nano coating is a great option for those looking to get maximum surface protection! Learn more about our Edmonton Ceramic Pro packages and pricing. Who doesn’t love a clean car? It just feels so much better. A perfectly maintained and detailed car will tell more about you than a thousand words. It’s often the first impression you make! 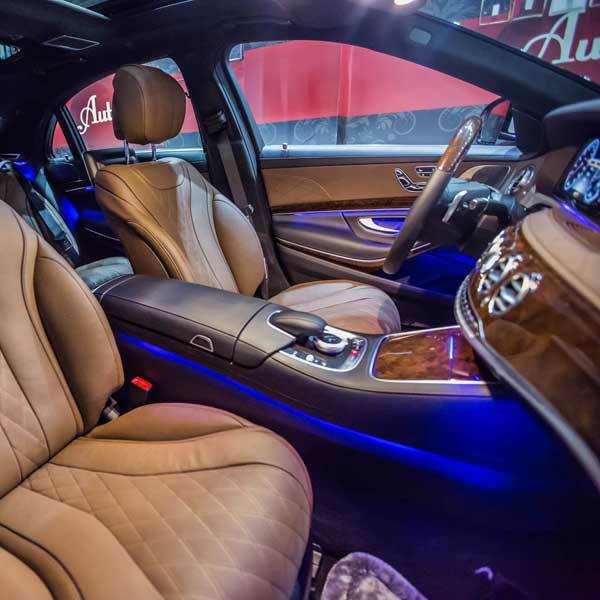 Both exterior and interior car detailing is a must today, and you should choose the best auto detailing service provider. First Detailing Studio is Edmonton’s best auto detailing shop. Our goal is to provide top quality car detailing services with a personal approach. We are 100% focused on customers’ satisfaction. We can handle any vehicle from basic models to premium and luxury segments. Exterior and Interior detailing of regular sedans, SUVs, Pick-Up trucks, vans and mini-vans. 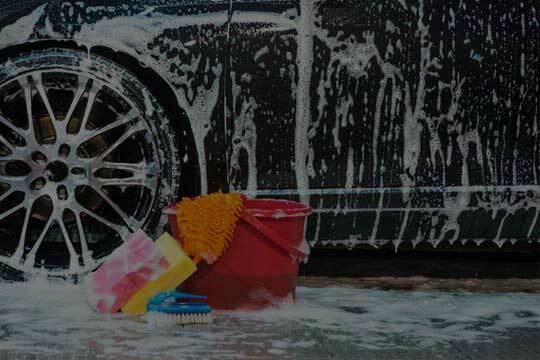 We take pride in what our professionally trained team does by using the best car care products.